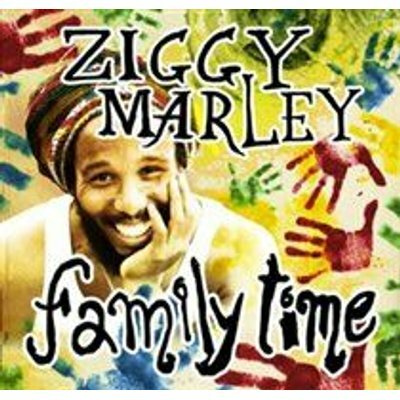 In the wake of his 2006 album Love is My Religion, which earned his fourth Grammy Award, Ziggy Marleyshares his musical love with families - his own and the extended human family. Marley's third solo release, Family Time, is produced with old friend Don Wasand is out on Marley's independent Tuff Gong Worldwide label. An easygoing journey of original tunes and a few covers, the album offers a full collection of family-oriented songs for those already familiar with Marley's beloved work in the genre, and may serve to introduce today's youngest generation to reggae. Highly listenable many times around, a quality that parents will appreciate, Family Timeresonates with themes of love, responsibility, unity, freedom and fun (not to mention generosity - proceeds from the sale of Family Timewill benefit Chepstowe Basic School in Port Antonio, Jamaica). "I know how important music can be in a child's growth and development, and in a parent's connection with their children," explains Marley, whose own brood recently grew to five. "This record represents my daily family life and is inspired by my three-year-old daughter Judah and baby Gideon. It was a joy to make and opened up new avenues in my creativity."